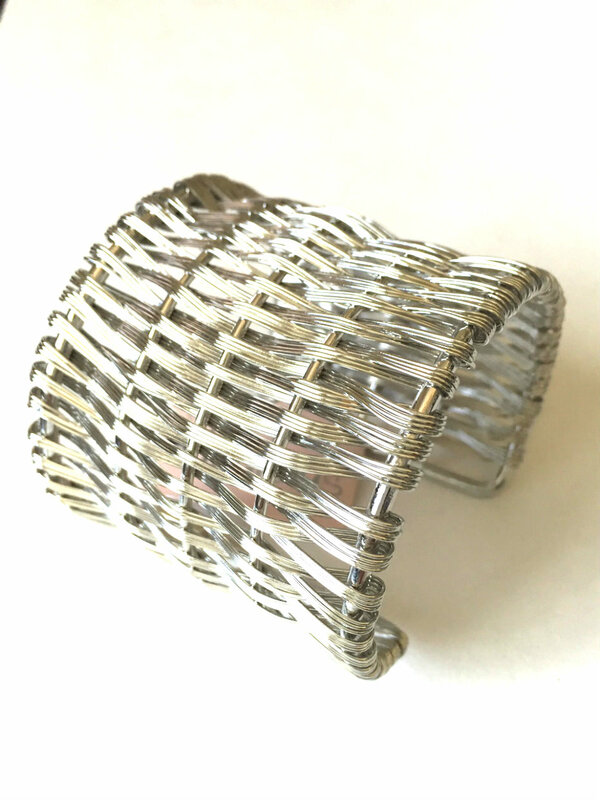 Tags: bracelet, cuff, silver, wire. Fierce but still feminine, this bracelet cuff epitomizes the urban side of fashion. Its wire weave and industrial design will give your outfit that final edgy touch.